Thanks so much for reaching out to your nuCamp family! Beginning January 2019, we are referring our customers to contact a dealer if an additional or replacement parts is needed. With that said, any of our dealers will be more than happy to assist you in obtaining the part that you need. If the dealer then recommends you contact us, we are more than willing to help you. You will still be able to pay over the phone and have it drop shipped wherever you would like (home, dealer, alternative location). To find a dealer to help you purchase the part, please visit: https://nucamprv.com/internal-dealer-locator/ Please have your vin number and photos handy when contacting your dealer. We apologize for the inconvenience this may have caused and we are certainly willing to assist should you encounter any difficulty. Sounds like we”re getting LESS personable! @Stratman, quite the contrary. It allows you to stay in touch with your dealer, and it allows them to be able to help when needed. 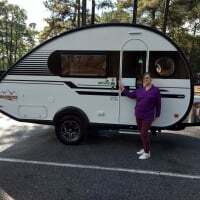 Unfortnatley, not all dealers (mine in particular) do not respond in a timely manner, or care once a sale of the trailer is completed I needed to travel to nuCamp twice last year to get my TaB 400 serviced. I was asked by nuCamp to see if a dealer near me would take care of my issues, and the dealer told me that being that I didn’t purchase from them that it would be best to go to nuCamp. This is quite disturbing to me. Several times I needed parts in a pinch and Elsie got them out to me within a day or two. Now who do I turn to ??? My first dealer is the reason I had to trade my 2018 in for a 2019. They botched everything they touched and it was a 90 mile trip one way to get to them. The dealership I got my 2019 from is 199 miles away. I am sure Nucamp will make some accommodation s as needed. nuCamp is trying to support their dealers. Unfortunately, many dealers are undermining their efforts by providing less than adequate support of the owners. In addition, nuCamp doesn't have a large dealership list and the dealers can be few and far between for most of us in the midwest. My dealer (one of the good ones) is three hours away. For anything other than serious warranty work I can't make a two day trip--with the attendant billeting costs--to visit the dealer. Since I am relatively handy (which many may not be) I would prefer to order parts and do the work myself. This does not sound to me to be a positive move on the part of nuCamp. 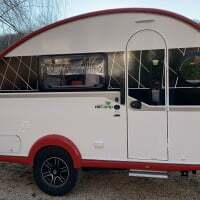 I think that nuCamp does a very good job of representing their customers and given the fact that they were mainly a manufacturer, minus the marketing end of the business within the past two years they have done well. They certainly know there are weak links in the chain and are doing their best to strengthen all aspects of the business. I know this as I’ve spoken to CEO Scott Hubble and for anyone who knows Scott, they don’t come any finer as individuals and he will do anything within his power to ensure that all customers are completely satisfied. My first dealer is the reason I had to trade my 2018 in for a 2019. They botched everything they touched and it was a 90 mile trip one way to get to them. The dealership I got my 2019 from is 199 miles away. I must say this is disturbing! That is what happens and it’s certainly not nuCamp’s fault that geography or logistics has not worked in your favor. These are custom units, built in Amish country in the Midwest and the company is relatively new so far as marketing, transportation, etc. And didn’t the CEO just deliver your new trailer to you? Once again, what other company can you name in the RV industry that it’s CEO has hand delivered a new trailer to their customer? I know some of the nuCamp dealers too and know full well that they are not only good, caring, upfront individuals, but that they will do whatever is needed to resolve problems and that their customers are completely satisfied. For any any of you out there reading this posting remember, your first line of contact is the dealer you purchased your trailer from. Should this interaction prove to be less than satisfactory or your issues are still unresolved, contact nuCamp and they will work with you to see that things are taken care of to your complete satisfaction. Mike, for the record, NuCamp has gone beyond my expectations in regards to correcting problems that my purchasing dealer could not fix. They have been very supportive and accommodating to me. My only concern is that their dealers don’t ( some of them) provide the same personal attention as NuCamp does. I can’t rely on my dealer, especially when they tell me they need 3-4 months to schedule me in! That is what happened to me, and tga5 is why I traveled to Ohio, twice, from Illinois. Thank goodness NuCamp camp to the rescue. I bought mine off an individual. I needed parts and called the dealer and nucamp to compare prices. The dealer was approx 10 percent higher. I much rather work with Elsie. This change is not for the better in my opinion. @tabstel, you will not be able to deal with Elsie. She will have to refer you to your dealer. This is is a corporate decision made by nüCamp. If your dealer doesn’t measure up to your expectations, nüCamp will never know if you don’t tell them. They need to reconsider...since I am in Columbus it is easier for me to drive to Sugarcreek to eliminate the middleman. During their shutdown I found one the outside trim pieces cracked and needs replacing...was going to buy this week and install...I am not happy to have to deal with local dealer....their decision takes away from what was a great customer service experience..
We are completely satisfied with our 320S. But it has had some minor issues requiring replacement parts. Our dealer is 300+ miles away. The dealer nearest us is more than 200 miles away and politely deferred us back to the selling dealer when I inquired about warranty work. My selling dealer referred me to the factory telling me they would be able to address my needs quickly and less expensively, especially when it came to shipping. So I ended up with Elsie and my issues were promptly addressed. As NuCamp expands into new products and increased production I can understand their move. But there needs to be some middle ground. I believe there has been ample time to weed out the bad players. If their intention is to reward dealers with an additional profit avenue by funneling parts replacement through the dealer network, then they should establish standardized pricing and maybe require their dealers to carry inventory, although that would be an unrealistic expectation given the mix of their dealers and the complexity of their products. To shut off the factory parts conduit is a bad marketing move in my opinion. I hate to think NuCamp is becoming like all the rest of the RV manufacturers. My two cents. This makes a difference in my decision to purchase a trailer. Was waffling between a trailer and a more stationary tiny house. Getting prompt service was a concern. Now I just don’t want to risk it with my nearest NuCamp dealer 3 hrs away. Glad I read this before I bought. Well, one thing I believe for sure is that Nucamp will not let those of us with dealer issues just be left hanging. With my experience with Jayco and Forest River you had no one to turn to but the dealer. 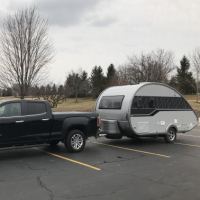 I had one horrible experience with the Jayco I traded in on my [email protected] Both the Jayco and [email protected] dealerships I dealt had terrible service departments. Only Nucamp stepped up from the factory when I contacted them. Jayco corporate never even responded. I complained about the dealer I purchased my Tab from and how they handed it over to me- broken screen, busted outside trim by the door and scuffed paint. Dealer said I did it even though I had photos to prove otherwise. So I reached out to nuCamp and took a trip to Ohio to fix my problems. They were wonderful to me and even put me up in a motel during my stay. What bothers me is that thier dealerships have not reached out to me. In my opinion the dealerships (just my personal experience) don’t care, and it doesn’t appear anything is being done about this. Again, I have a dealership accross the street from me that sells nuCamp products as well as many, many other non-nuCamp products and because I didn’t purchase my Tab from them I got turned away. I also just noticed the door on my sink is rippled (paint seems to be cracking) and my flooring is a little loose in spots. I’m not sure what to do and will be leaving for vacation in February.....maybe. I picked my dealer based on very good reviews and decent pricing, so I wasn't deferred by driving from LI to western PA to make the purchase. But when it came to the repairs they were realistic in setting expectations. Sure they would fix it if I drove it there and made arrangements to stay over or leave it. But I was willing to replace the parts myself. They told me if they waited for the parts to be shipped to them and then forwarded to me it would probably add weeks and they weren't willing to absorb the shipping charges. Contacting the factory directly made the most sense and Elsie was very willing to assist. Again, until they build out their dealer network I think there should be some middle ground especially on warranty replacement parts. And some safeguard to protect against excessive dealer parts markup outside of warranty. I'm hoping BigGrover is correct that they won't leave their loyal owners out to hang. I am sure this move is to try and take some load off their parts department as their production capacity continues to grow. Likewise some of the build customization such as Boondock axle without the package are no longer options. That is also likely due to slowing production of lines that are already at capacity with 2-3+ month delivery times. I think this is just growth pains. While I comprehend the likely why of the factory policy changes, I am not sure NuCamp fully grasps the mediocrity of a lot of their dealers as evidenced by comments on this thread. I guess when my 400 is in my hands which I ordered I may find out what kind of service I get from the local dealer who I didn't order through. Long story there, but after discussions spanning several weeks, the ordering option was yanked off the table and I had option of one of two units on the lot. 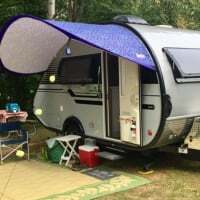 I have an excellent independent RV shop five minutes away that I am positive can make any repairs, however if there is any warranty work I may be screwed as far as getting that covered at no cost! As far as parts, I would hope I could order them through local dealer for self installation, if not then I think NuCamp is going to have an issue. Overall with few exceptions, I believe NuCamp dealers are multi line and the NuCamp products are very small part of their business. My local dealer probably has 100+ units on the lot at all times, less than 1/2 dozen are Tabs, no Tags or truck campers that I have ever seen. Because of the minority market share at most dealers, I don't see too much investment in parts and service along with training being a smart investment for them. 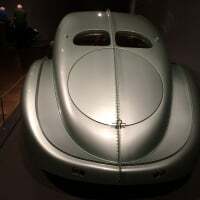 Hopefully this all shakes out long term, right now I don't have warm fuzzies about the dealer support network with of course a few good ones mentioned often in this fourm. I think this change makes it exponentially more important for anyone with adverse experiences at a NüCamp authorized dealer to communicate those experiences directly to nüCamp. Name names and locations. And I encourage those communications be done via email so there is written documentation. Perhaps that would allow nüCamp to focus dealer training more effectively. @jgram2 I agree, only way poor dealers will be weeded out or corrected is through feedback from customers. But it will be at the expense of customers money and product satisfaction. Not a good business model. I have had nothing but negative results dealing with my dealership in Columbus Ohio. There is no way they will assist you after purchase without making an extra dollar! This is terrible news and I can now honestly say I WISH I HAD NEVER BOUGHT A $20,000.00 [email protected] (Didn't even get an owners manual apon purchase in 2015) This is a blowoff at best from the manufacture. I'm not sure I feel about this either. I own a Dutchmen [email protected], so I no longer have a dealer that knows the first thing about these units. Elsie was my best contact for brakes, bearings and other parts for the Al-Ko frames. Oh, I'm not feeling good about this at all-- I have been researching so much & was getting ready to make a serious offer on one of two units I have narrowed down. Probably the BIGGEST reason I was looking at a Tab was all the reviews on the quality build & a manufacturer that would actually stand behind their products- & actually having a person at the manufacturer to contact if the service is poor from a dealer--- dealers are all over the place quite honestly as to whether or not you can get service even when you purchase directly from them much less buying from a private party. You certainly have no idea what the service is going to be like until you need it & then it's too late! I'm not feeling good about this at all. . . I am going to have to re-evaluate now. I'm so disappointed. Ikc, I would not give up yet. Wait and see what transpires. I think something we could do is start compiling a list of the better dealers as a reference for buyers and owners. Soutland RV near Atlanta seems to be one. Keep in mind this change still leaves a factory that is miles ahead of most other RV's in quality and support. A bit of a disappointment for sure on the parts change, especially for those who want to be their own warranty and repair station, BUT I wouldn't throw the baby out with the bath water just yet. This post addresses buying replacement parts from any dealer as opposed to from the factory. So long as they allow drop shipments by the dealer, we will still be able to service our repairs ourself if needed and the factory will get a healthier dealer network. One or more dealers will emerge as the go to places for drop ship orders. Nature abhors a vacuum and some dealer will fill the role. Disappointed to hear this, but will wait to assess how the changes affect all of us. Nevertheless, I would not reconsider my choice. These trailers are among the best in quality in the U.S. market. Great staff and good attitude regarding their end customers, hopefully will provide a path to resolve the questionable dealer situation some of us find ourselves in. Good luck, everyone and should any of you find a way to resolve the angst discussed here, let all of us know. I was on the phone ordering an Alde fuse holder yesterday. Elsie mentioned this change coming out. She also told me that several times in the last month they have hosted at least a dozen dealers (or more) for factory tours and increased familiarization with NuCamp products. I would hope the idea is to kick the dealers into gear a little more about what must be a profitable trailer for them, and hopefully improve the dealer's customer service across the brand. I can see how it might be tough to convince the dealers to 'care' about supporting/promoting NuCamp if NuCamp has a direct sales line to the customers. We've seen that problem in our clothing business, with wholesalers setting up a website to retail directly to our customers. We tend to drop those companies. Of course, we offer great service with our product, but customers tend to look at price only. I can see the Tab dealers might feel the same way. @ChanW yes! You can't have it both ways.